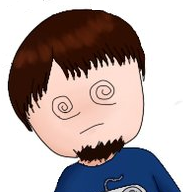 I’m still not quite sure what the difference between Game Perceptions and Real Serious Reviews is supposed to be, but being as how we have many Game Perceptions and only one Serious Review, that’s what this post will be titled. And Steambot Chronicles is a game I take pretty seriously. If there has ever been a best bang for my buck purchase I’ve ever made, it’s been Steambot Chronicles. Unfortunately I can no longer claim that. This used to be a bargain bin title, where you could buy it from GameStop for the ridiculous price of $5. At the time of this writing, the cheapest price I can find for it is $30 on Amazon. If you can find it at your local GameStop, it still is $5 though, but that is a task easier said than done. 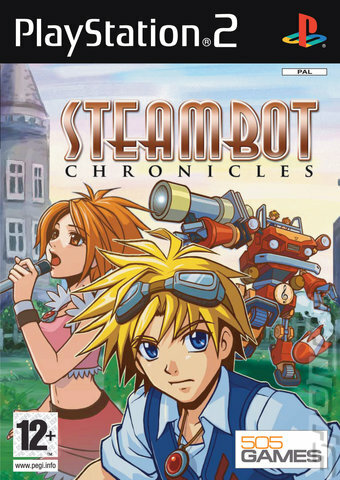 But what exactly is Steambot Chronicles, though? Well, the back of the cover states that it’s a sandbox game. That description is a little misleading, it’s still a pretty linear game, but it’s done really well. You start off on the beach, and you travel around the world from town to town after meeting the protagonist’s love interest: Coriander aka Connie. I might as well get this over with now, but nearly every character in the game is named after a spice or herb. Vanilla Beans, Basil, Marjoram, Coriander, all spices or herbs. Anywho, Connie is in a band called the Garland Globetrotters. Because Connie clearly has no problem hanging out with strange people she’s only just met, she asks you to attend the concert they’ll be performing later. So you watch it, and you get attacked afterwards. But luckily for you, the robot car you found on the beach can fight so you fight off the bandits. You then become her bodyguard, and after the next concert, the guitar player Fennel leaves the band and you become a member in his place. Throughout the first half of the game it’s pretty straightforward, they’d tell you to go to a place, occasionally taking a longer route because the obvious route is closed. But the problem is, it gets too easy to get sidetracked. And it’s not a bad thing, but you know you need to go to the next town, but you got caught up playing pool for an hour at the local piano bar. You’re supposed to be trying to reclaim your memories, but here you are performing on a street corner with a trumpet to get extra cash for that mech part. Speaking of performing, one of the coolest parts was playing the different instruments, even though many of them were ridiculously difficult. While on my old blog my buddy and frequent collaborator Jason hated the music and this part of the game, I actually really enjoyed it. The songs were musically upbeat and moving, but when you paid attention to the lyrics it really showed Connie’s underlying depression. Eventually though, you make it to the town of Nefroburg and that’s where the “sandbox” element comes into play. You’re given a choice between joining the bad guys of the game, or continuing on to thwart them. 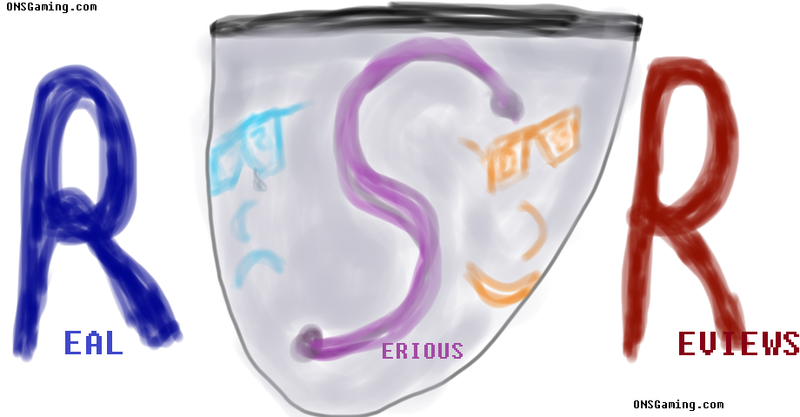 There are actually a multitude of endings, depending on when you join the bad guys, or if you join them and then betray them. The canon ending though is the one where you never betray the Globetrotters. But even here you can get sidetracked. You can buy a house, go digging for treasure, help out the local museum, become Trotmobile Battle Champion, help develop a flying Trotmobile the list goes on and on. And then after you finally beat the game, you have an epilogue to do. I recommend just saving before the branch off point and doing both sides of the story. Overall, the game was a bargain bin purchase for me that ended up way surpassing expectations. There are even three other games based on the game, Blokus Portable featuring Steambot Chronicles, Steambot Chronicles Battle Tournament, and even Bumpy Trot (the japanese name for the game) 2, if you can read kanji. I own the first two, but not the latter. The game had a pretty good story, a great battle system with controls reminiscent of Katamari Damacy, and tons of stuff to do. The only flaw is the loading times, which take place even going from one part of town to the next. But other than that, what became of a $5 purchase is now the measuring stick in my eye for bargain bin titles. Whether or not this manages to be good or bad has yet to be seen, but I couldn’t be more satisfied with Steambot Chronicles.